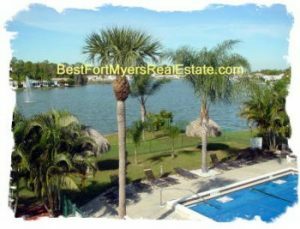 The Preserve at Corkscrew is an exclusive 500 Acre gated community, with a prime location, in Tropical Estero, Florida 33928. The community’s peaceful ambiance is created by mature, lush landscaping, glistening lakes and exclusive amenities to support your active lifestyle. The community is designed as a smaller residential neighborhood consisting of a variety of single family home styles, with many home sites featuring picturesque lake and preserve views. Lennar Homes and Pulte Homes have been the premier builders in this community. Cameratta Companies as a developer continues to provide its tradition of unique development here at The Preserve at Corkscrew. Its portfolio of successful projects spans thirty years, and includes single family and multi-family residential communities, high rise condos, golf course communities, retail and commercial projects. The diversity in Cameratta Companies development achievements hold to a common core philosophy of paying attention to every detail by staying involved and overseeing each endeavor from creation to completion. This is your chance for a quality built home in The Preserve at Corkscrew. Feel free to Contact Shellstar Realty. Our Realtors have many years experience and can help you obtain the best price on your real estate purchase! Why would you need a Realtor for New Construction Homes?